Eating fried chicken every day, researchers discovered, stretched the risk of death by 13% from any cause and 12% from heart-related. The same applies to fried fish, only with a 7% higher risk from any cause and 13% linked to heart-associated death. Fried chicken was never going to top the world´s superfoods list, but it should be on the world´s most dangerous. 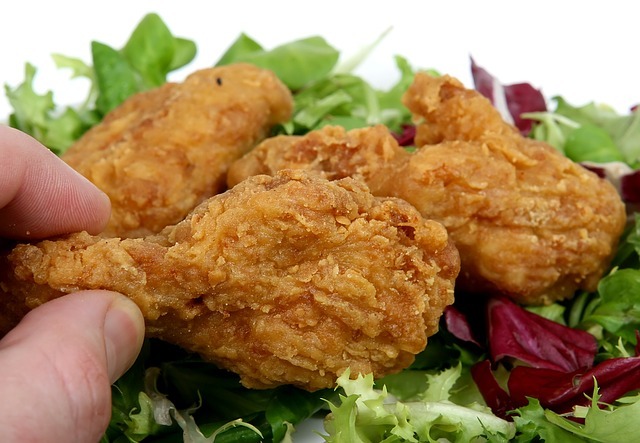 A new study, published in The BMJ, connects regular consumption of fried food with an increased risk of heart-related death, particularly among postmenopausal women. Those who consumed one or more servings per day had an 8% higher risk of death than those who don´t consume fried foods. Previous studies have already uncovered a link between intake of fried foods and a heightened risk of type 2 diabetes. The fact that one third of North Americans eat fast food every day signifies the need to curb its debilitating health effects. Using questionnaire data, the researchers evaluated the diets of 106,966 women between the ages of 50 and 79, registered in the Women´s Health Initiative (WHI) between 1993-1998 and assessed until 2017. Precisely 31,588 deaths, 9,320 of which were heart-related, occurred during this period. In the study, it was found that different fried foods including fried chicken, fried fish, french fries, tacos, and tortilla chips could be responsible for the heart-associated deaths. "Reducing the consumption of fried foods, especially fried chicken and fried fish/shellfish, may have clinically meaningful impact across the public health spectrum," the researchers conclude.